Reservations for restaurant only. Rooftop is open seating. Show your gratitude with a gift to Rudy's. The best happy hour in town — everyday from 3-6 PM and 9-11 PM! Rudy's creates a one-of-a-kind dining experience by combining award-winning food with great ambiance. Enjoy the summer months on Rudy’s Rooftop, a favorite local destination. 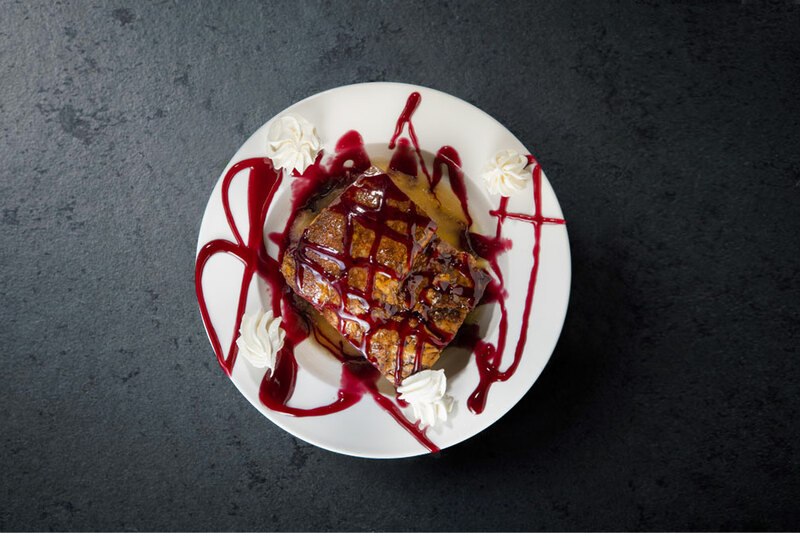 Our White Bear Lake steakhouse and event venue are best known for our pan-fried walleye, Drunk ‘n Dirty Pork Chops, Bull Bites, charbroiled steaks, and amazing martinis. Cater in lunch for the office or food for an event. Need a space to host your event? We have that too! Have your wedding reception in our elegant banquet room. Continue the celebration in Rudy's bar before retiring to your hotel room. Formal or informal, large or small, we customize each event to your needs. We offer on- and off-site catering with conference and meeting rooms on-site. Get directions to our restaurant from Google Maps. Our restaurant serves food until 11 PM every day. 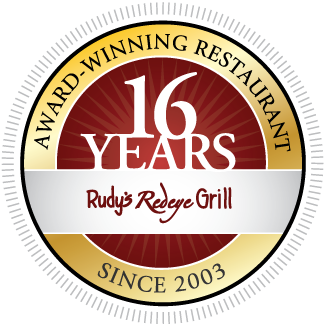 Copyright © 2018 Rudy's Redeye Restaurant & Steakhouse • Website design and hosting by First Net Impressions, LLC.